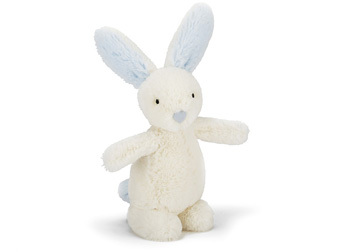 Get musical with every wiggle with the Bobtail Bunny Blue Rattle! Our bunny buddy has rich creamy fur and pastel blue ears. Delightfully soft, he’s so very squishy, and a cute way to introduce rhythm and texture.